On April 20th 1992, Roger Taylor, Brian May and John Deacon, the surviving members of Queen, took to the stage at Wembley Stadium for the start of one of the biggest events in rock history, which the band had organized to pay tribute to their former colleague the incomparable Freddie Mercury. Queen was joined by some of the greatest musical talent in the world to celebrate Freddie’s life and work and to increase public awareness of AIDS, the disease that had prematurely ended his life the previous year. As well as being great entertainment, the concert raised a huge and still growing sum of money for the Mercury Phoenix Trust, a charity formed at the time whose charter is the relief of suffering from AIDS throughout the world. 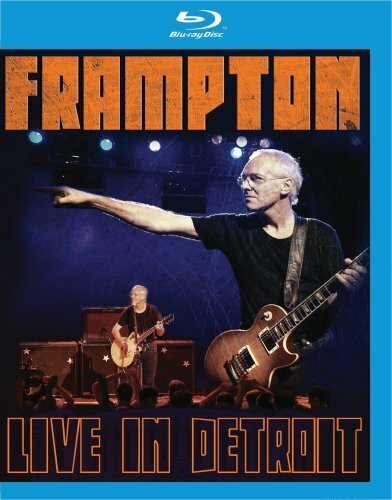 Now for the first time both halves of the concert are being made available on DVD along with additional bonus material in this special edition release. 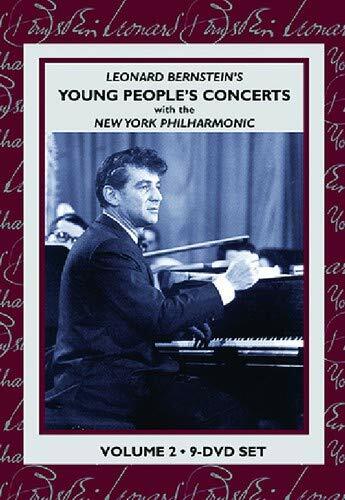 Kultur s first boxed set of Leonard Bernstein s Young People’s Concerts was the most eagerly awaited DVD release in Classical Music s history. The set has sold many tens of thousands of copies and continues to be extremely popular. Now Kultur introduces the magnificent second volume of the Concerts, featuring 27 programs on nine DVDs and completing the series. Bernstein s wonderful combination of exceptional performances and clear, inspirational lecture superbly convey his own excitement about music. 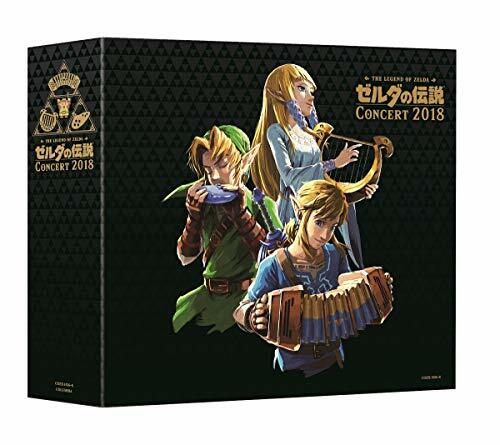 This beautiful new set will create further enthusiasm for the genre among young and old music lovers alike. In 1962, the Young People’s Concerts became the first series of concerts ever televised from Lincoln Center. All of them were telecast on CBS at prime time, and syndicated in over 40 countries, introducing an entire generation to the joys of classical music. 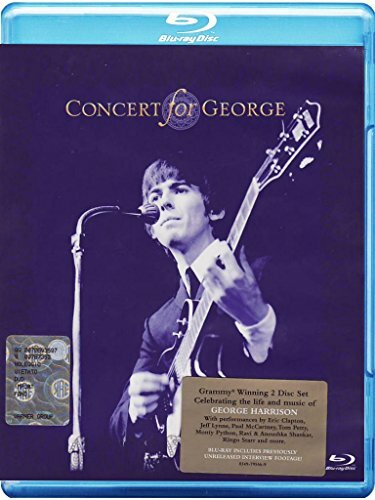 Concert For George has been certified 8 times platinum by the RIAA since its initial release as a 2-DVD set in November 2003 and earned a 2004 Grammy Award for Best Long Form Music Video. On November 29, 2002, one year after the passing of George Harrison, Olivia Harrison and longtime friend Eric Clapton organized a performance tribute in his honor. 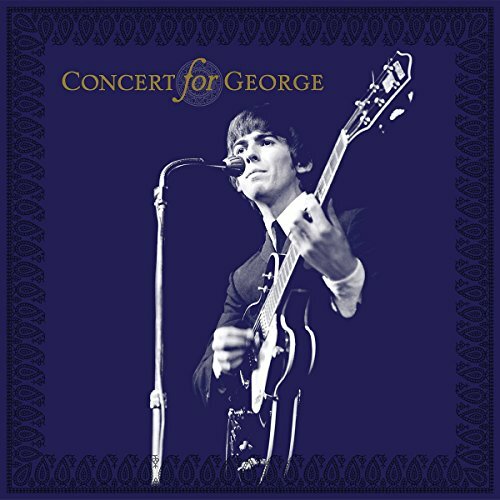 Held at London’s Royal Albert Hall, the momentous evening featured George’s songs, and music he loved, performed by a lineup that included Clapton, Jools Holland, Jeff Lynne, Paul McCartney, Monty Python, Tom Petty, Billy Preston, Ravi and Anoushka Shankar, Ringo Starr, Dhani Harrison and many more. Lift top box with 4-LPs on 180-gram audiophile vinyl, in single jackets, a 12 x 12 booklet, containing all the concert performances, and featuring a special mandala-design etched on side-8. 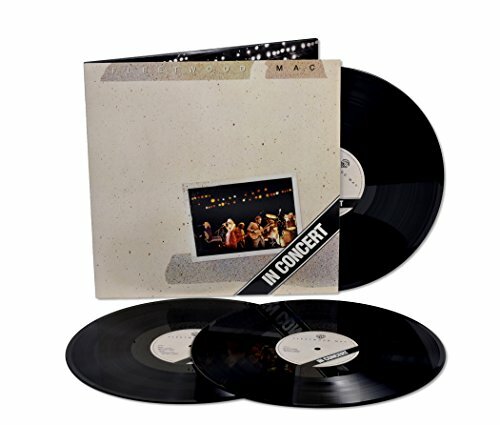 This is the first time that all songs from the performance have been available on vinyl! Broadcast to millions in America and abroad, the immensely popular series was the winner of multiple Emmy, Peabody and Edison awards. 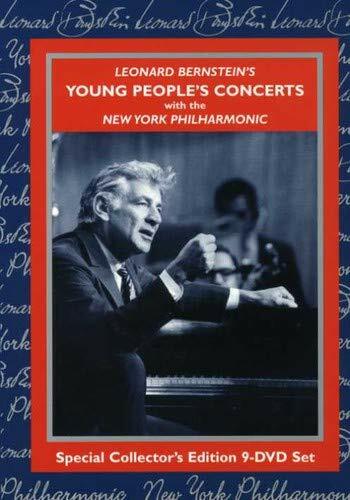 Now this national treasure is available for the first time on DVD in a Special Collector’s Edition 9-disc set that contains 25 programs from the Young People’s Concerts Series.Leonard Bernstein earned glory as a composer, conductor, and pianist (classical and jazz), but nothing gave him more pleasure than the joy of teaching. He presented the unique blend of spoken words and music known as the “Young People’s Concerts” throughout his tenure as music director of the New York Philharmonic and for several years after. His enjoyment, and his audience’s, can be seen vividly captured by the video cameras. He is an intensely interactive teacher, getting his audience to sing, springing a quiz full of trick questions, and singing a Beatles song to demonstrate a point. Bernstein is completely at ease talking to his audience. He can take the most abstruse subject – the meaning and function of intervals, tonality and atonality, the links between Gustav Mahler’s troubled life and his music – and present them to a young audience with clarity, without condescension, and with a clear sense of the material’s value. His subject-matter is enormously varied. For Igor Stravinsky’s 80th birthday, he simply tells his audience the story of Petrouchka while conducting a dazzling performance of the colorful ballet. For a program on “Folk Music in the Concert Hall,” he plays some of Canteloube’s folk song arrangements and the boisterous finale of Ives’s Symphony No. 2, full of borrowed pop and folk melodies. The influence of folk music is shown in folk song imitations by Mozart and Carlos Chavez. 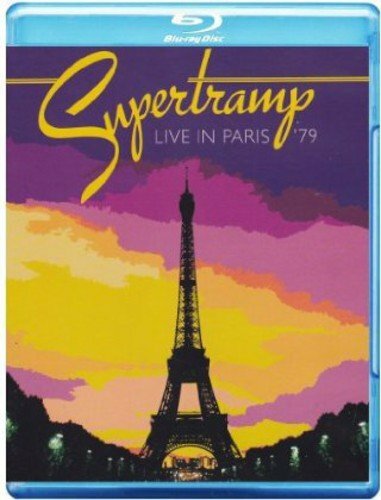 Import only Blu-ray featuring a live performance from 1979 while Supertramp toured in support of their BREAKFAST IN AMERICA album which won two Grammy Awards. Conductor Anthony J. Maglione has carefully selected texts that invite us to wrestle with ancient and timeless mysteries and think about how they are relevant to our present day. 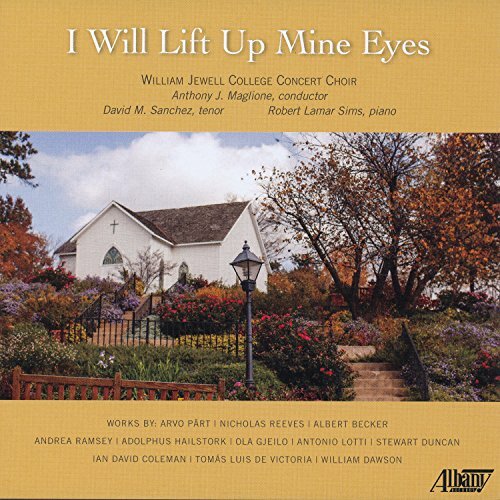 The centerpiece of the recording is Adolphus Hailstork’s I Will Lift Up Mine Eyes, a three-movement cantata based on psalm texts. The William Jewell College Concert Choir is composed of the very best undergraduate choral singers who attend William Jewell College. The choir tours the United States and travels regularly to England and Scotland to perform. Anthony Maglione studied at Westminster Choir College, East Carolina University and the University of California, Los Angeles. 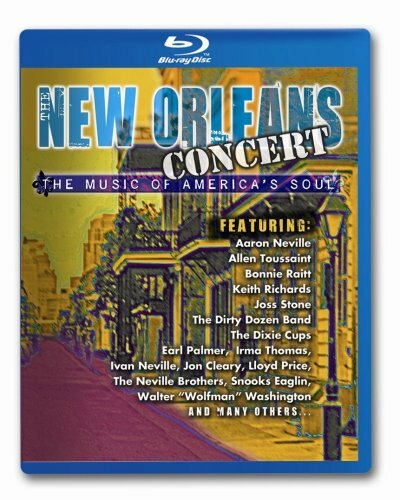 Captured in state of the art High Definition and mastered in Dolby Digital 5.1 Surround Sound, The New Orleans Concert ignites a massive celebration of Big Easy music past and present – redolent in jazz, rollicking piano renditions, classic rhythm and blues, contemporary funk and rock & roll, all as steamy as a sweltering Delta summer’s evening. 13. “Come On” – Snooks Eaglin & George Porter Jr. 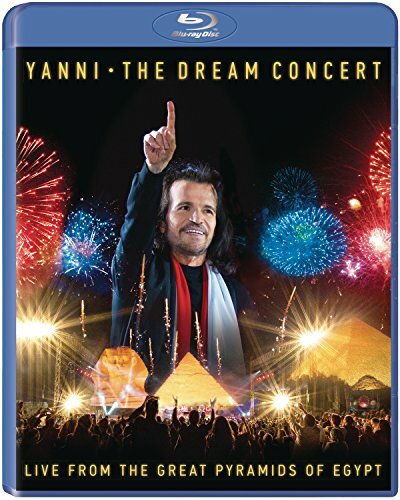 Struck from a new High Definition video master with remastered audio, The 30th Anniversary Concert Celebration – Deluxe Edition makes this historic all-star musical event available for the first time on Blu-ray. 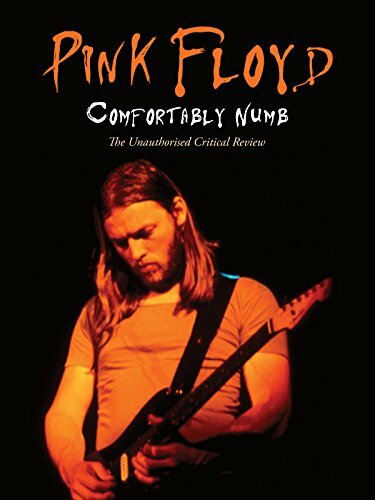 Also includes 40 minutes of previously unreleased material including behind-the-scenes rehearsal footage, interviews and more. 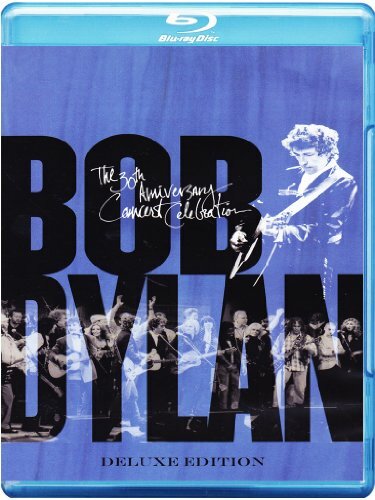 On October 16, 1992, New York City’s hottest concert ticket was the live gathering of musical giants, legend and archetypes who’d come to Madison Square Garden to celebrate the 30th anniversary of Bob Dylan’s first Columbia Records album and play a selection of Dylan songs from culturally iconic (John Mellencamp’s no-nonsense “Like A Rolling Stone”) to bootleg obscure (Lou Reed’s acerbic take on “Foot of Pride”) that had moved and inspired them over the decades. 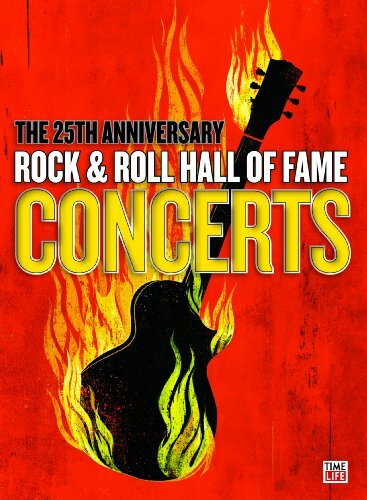 The four hour show, performed for a sold-out audience of more than 18,000 fans and live-cast around the world, brought together an unprecedented roster of artists and icons including Johnny Cash and June Carter Cash, Lou Reed, The Clancy Brothers, Ritchie Havens, Johnny Winter, Roger McGuinn, Tom Petty & the Heartbreakers, Stevie Wonder, Willie Nelson, Kris Kristofferson, Neil Young, Eric Clapton, Ron Wood, Chrissie Hynde, The O’Jays, Eddie Vedder, Sinéad O’Connor, Tracy Chapman, George Harrison (then making his first US concert appearance in 18 years) and more. Providing musical backing throughout the show was an ensemble dream team featuring three members of Booker T. & The M.G.’s, G.E. Smith on guitar with Jim Keltner and Anton Fig on drums. Dubbed “Bobfest” on stage by a jubilant Neil Young, the 30th Anniversary Concert Celebration reached a transcendent crescendo with an unforgettable performance and all-star jam featuring the evening’s honoree. 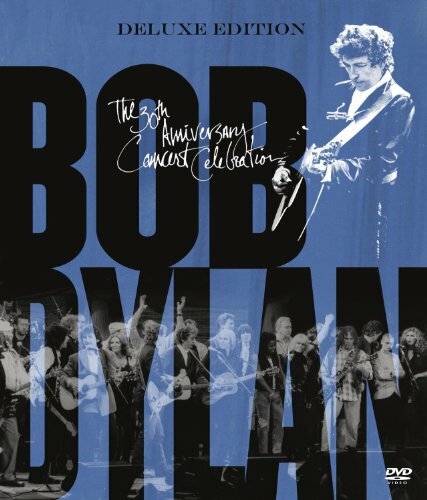 Viewed anew from a 20-year perspective, Bob Dylan – The 30th Anniversary Concert Celebration – Deluxe Edition is a remarkable testament to the enduring legacy and ongoing musical influence of Bob Dylan. That valedictory gathering from more than 20 years ago proved to be a mid-career retrospective of a recording artist and performer who continues to inform and transform the cultural landscape. 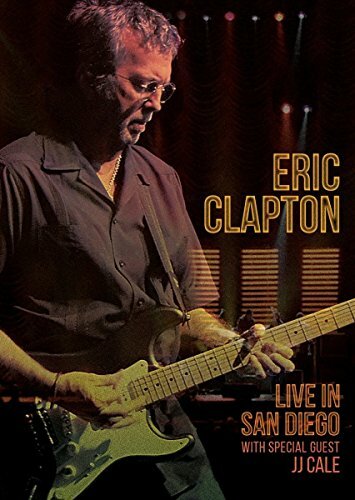 On March 15, 2007, Eric Clapton’s world tour stopped at San Diego’s iPayOne Center (originally the San Diego Sports Arena and now the Valley View Casino Center). The band lineup for the tour continues to be a firm fan-favorite, with Derek Trucks and Doyle Bramhall II on guitars, Chris Stainton and Tim Carmon on keyboards, Willie Weeks on bass, Steve Jordan on drums and backing vocalists Michelle John and Sharon White During the set, EC’s long-time musical inspiration, JJ Cale, sat in for five songs, including three from their Grammy-Award winning album, The Road To Escondido, released in 2006.
concert celebrating the end of an era: The Beatles opened it and Billy Joel closed it. Built in 1964, Shea Stadium was the home of the New York Mets for 45 years. Designed as a multi-purpose stadium, Shea first met rock ‘n’ roll when The Beatles appeared there August 15, 1965, establishing Shea as the premier stadium for the world’s greatest bands. The Who, The Police, The Rolling Stones, Bruce Springsteen and The Clash all played Shea. Live At Shea Stadium captures the music and memories of a generation. After 45 years, the Mets’ two World Series victories, The Beatles and The Last Play At Shea, the final section of Shea Stadium was torn down in 2009. 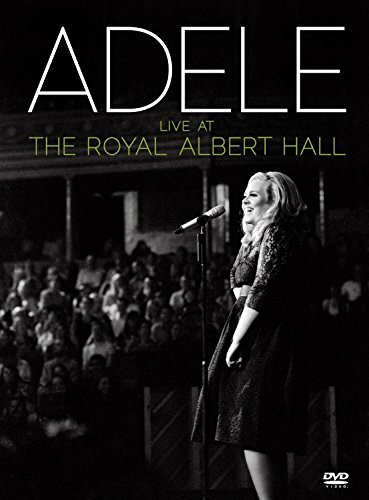 Live At The Royal Albert Hall was recorded on September 22 at the height of what has been an amazing year for Adele. 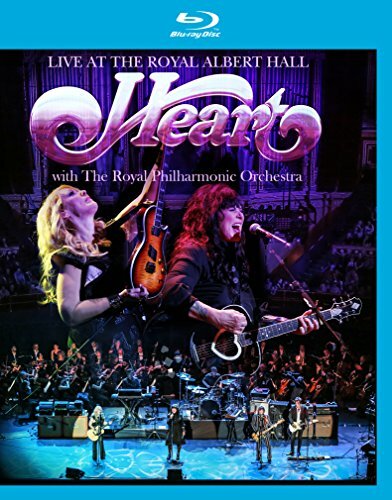 Available on DVD and Blu-ray, “Live At The Royal Albert Hall” features the full 90 minute concert performance, plus special behind the scenes footage shot throughout the day leading up to the concert. In July of 2008, on the slopes of Andrea Bocelli’s home town, Lajatico, a rural village in Tuscany, a special theater was constructed for a one-night-only concert of his greatest popular hits along with new songs performed to honor the occasion. Some famous musical friends dropped by and the magical result is Andrea Bocelli–Vivere–Live in Tuscany. 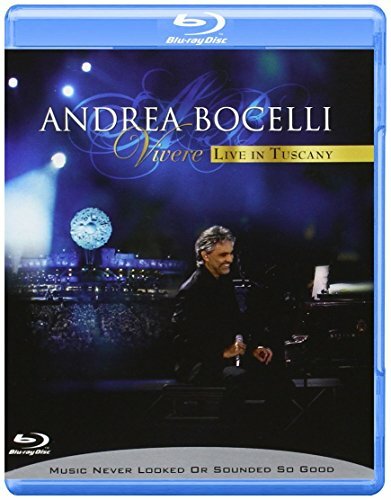 Bocelli Vivere Live In Tuscany is the first US blue-ray release for Andrea Bocelli. 1997 and is one of very few Bee Gees performances ever filmed. It has consistently been one of Eagle Vision s biggest selling titles. 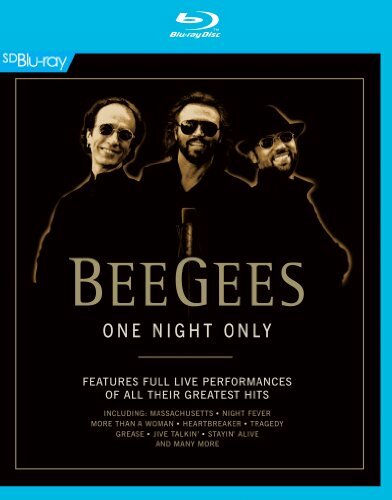 Now the DVD has been reauthored, with a revised sleeve and additional content to celebrate 50 years of the Bee Gees. Interview with the Bee Gees. Bonus tracks from “An Audience with the Bee Gees”: 1. 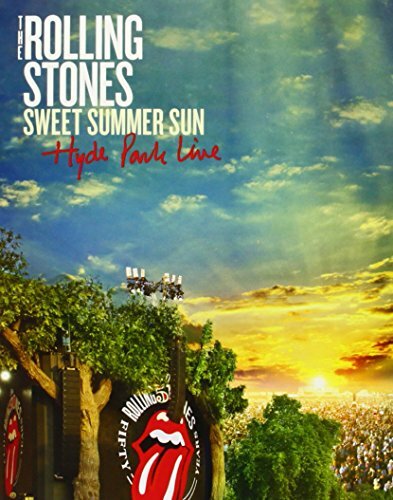 Medley- Heartbreaker/Guilty/Chain Reaction/How Deep Is Your Love/Jive Talkin’. 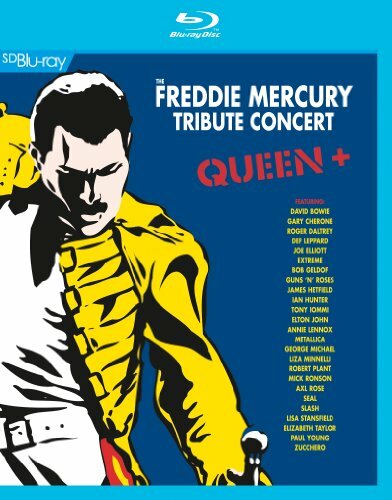 On April 20th 1992, Roger Taylor, Brian May and John Deacon, the surviving members of Queen, took to the stage at Wembley Stadium for the start of one of the biggest events in rock history, which the band had organized to pay tribute to their former colleague the incomparable Freddie Mercury. 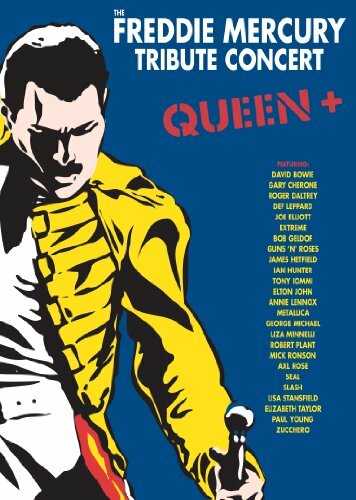 Queen was joined by some of the greatest musical talent in the world to celebrate Freddie’s life and work and to increase public awareness of AIDS, the disease that had prematurely ended his life the previous year. As well as being great entertainment, the concert raised a huge and still growing sum of money for the Mercury Phoenix Trust, a charity formed at the time whose charter is the relief of suffering from AIDS throughout the world. 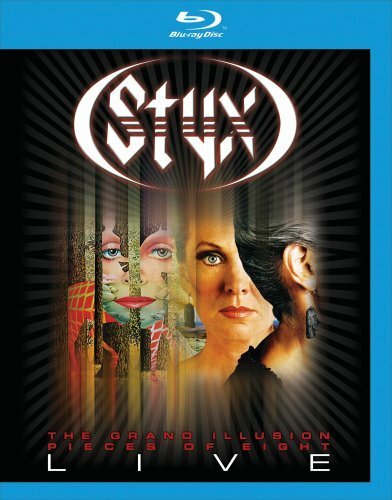 Now for the first time both halves of the concert are being made available on SD-Blu-ray along with additional bonus material in this special edition release. 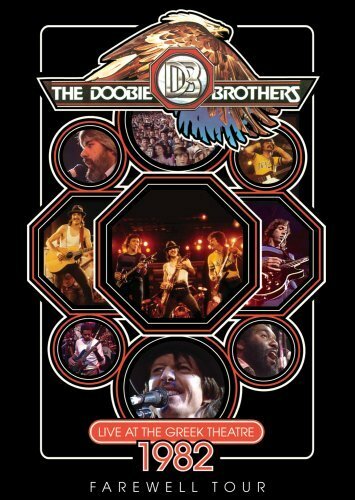 Recorded at the Greek Theatre in Berkeley; California in 1982; this concert was the last date on the Doobie Brothers’ “Farewell Tour.” It was an emotional night and would be their last gig for 5 years. The band played a set containing all their best loved hits from across their career and were joined by founding member Tom Johnston for the last two tracks; with former members John Hartman (also from the original line-up); Tiran Porter and Michael Hossack coming on stage for the celebratory finale of “Listen To The Music.” The band are in fantastic form and rise to the occasion magnificently; they can rarely have delivered a better performance throughout their distinguished career. 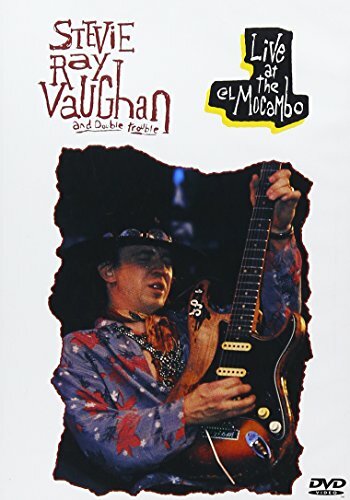 – LINE-UP: Pat Simmons – guitars & vocals; Michael McDonald – keyboards & vocals; Keith Knudson – drums; John McFee – guitars; violin & harmonica; Cornelius Bumpus – saxophone; keyboards & flute; Chet McCracken – drums & percussion; Willie Weeks – bass; Bob LaKind – Congas. 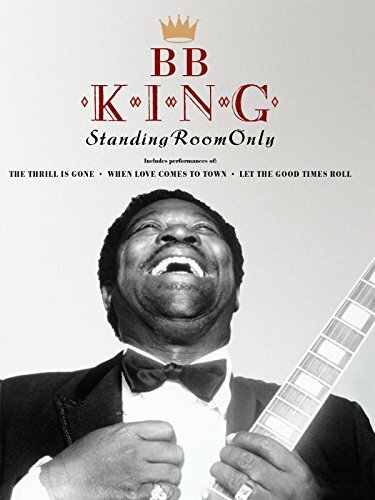 – TRACK LISTING: 1) Listen To The Music 2) Sweet Maxine 3) Rockin’ Down The Highway 4) You Belong To Me 5) Take Me In Your Arms (Rock Me) 6) Long Train Runnin’ 7) Black Water 8) Minute By Minute 9) Slat Key Soquel Rag 10) I Keep Forgettin’ 11) Out On The Streets 12) What A Fool Believes 13) Jesus Is Just Alright 14) Takin’ It To The Streets 15) China Grove 16) Listen To The Music Five tracks from the concert that were cut from the original 1982 film: (1) Little Darling (I Need You) (2) One Step Closer (3) Dependin’ On You (4) Real Love (5) No Stoppin’ Us Now. 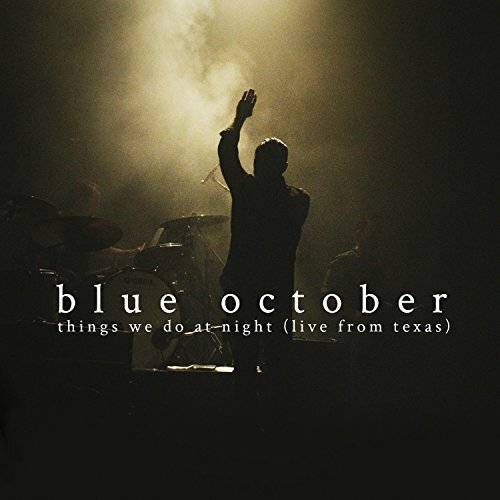 – Interviews with the band members and manager. For over four decades, Michael Jackson has been entertaining the world. From his many #1 smash hits to his incredible short films that dominated MTV, Michael is one of the greatest performers of our lifetime. But to truly experience the creativity and genius of Michael Jackson, you must experience him live. Here is your chance! Michael’s “Dangerous Tour” was the biggest tour any performer had done in history, breaking his own record from the preceding “Bad Tour.” The incredible staging took nearly three days to set up, and 20 trucks of equipment were shipped between countries on cargo planes, making headlines everywhere it went. The “Dangerous Tour” included 69 concerts reaching over 3.5 million fans. This concert, Live in Bucharest: The Dangerous Tour, aired on HBO in 1992. The special received the highest TV ratings in the history of HBO and Michael was honored with the Cable Ace Award. The Bucharest Concert was performed on October 1st, 1992, and was broadcast live on radio and shown on TV in over 60 countries around the world. 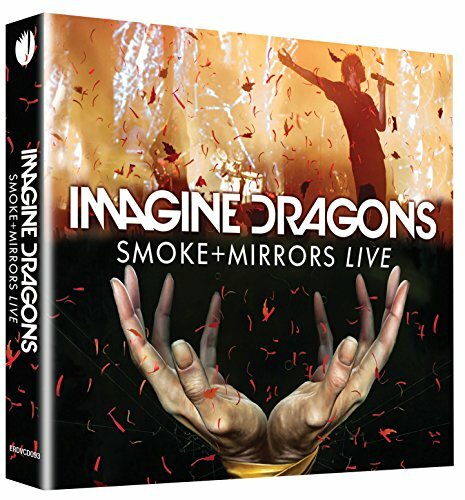 Smoke + Mirrors Live is a multi-sensory production, but equally an intimate fan experience as the crowd sing along word-for-word with the band. 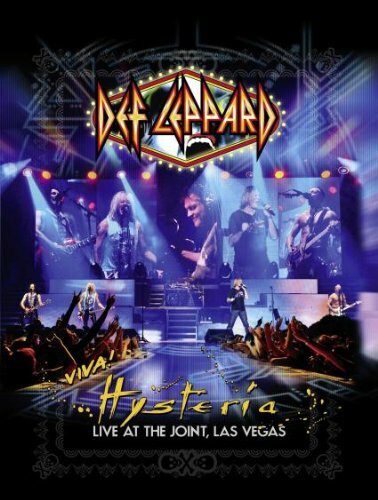 Featuring sensational performances of their multi-platinum hits and fan favorites from their first two records, including Radioactive, I Bet My Life, Shots, Gold and Demons; and the never before played live Thief. Also includes exclusive bonus features. Fleetwood Mac unveiled a massive Deluxe Edition of its revered double album Tusk late last year that featured 22 previously unreleased live performances selected from the band s 1979-80 tour. 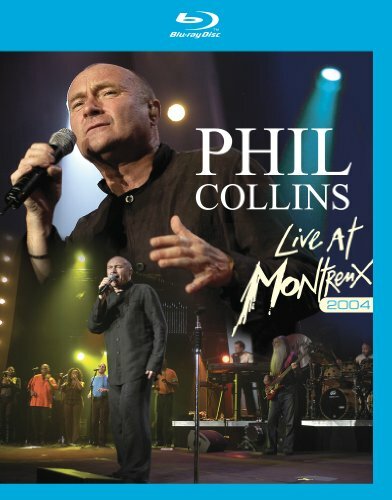 Until now, those concert recordings have only been available as part of the set and only on CD and digitally. All of the live music from the 2015 reissue of Tusk will be available on March 4 from Warner Bros. Records as a three-LP set. Pressed on 180-gram vinyl, the albums will be presented in a tri-fold jacket. The music heard on IN CONCERT was recorded at four stops during the band s 111-show world tour promoting Tusk. 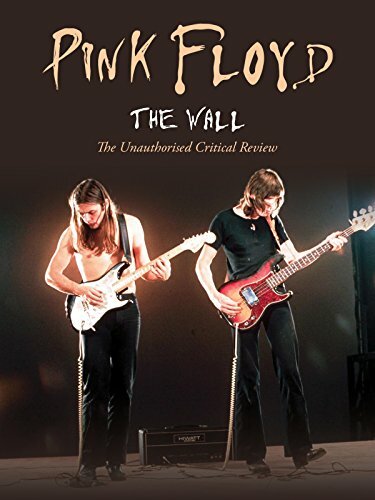 This new collection serves as a worthy companion to the classic 1980 album Live. 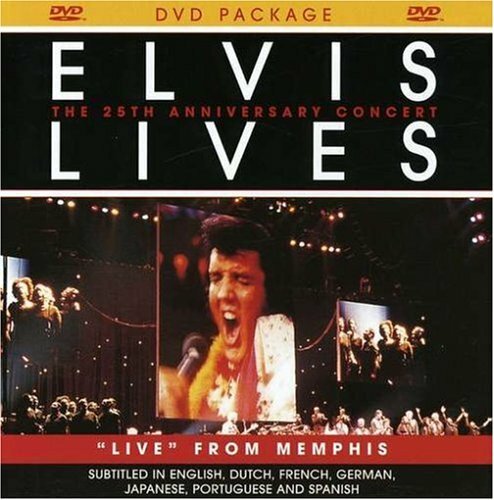 Although a few songs are duplicated from that album, including Say You Love Me, Landslide and Go Your Own Way, each performance on IN CONCERT is unique and taken from a different show. 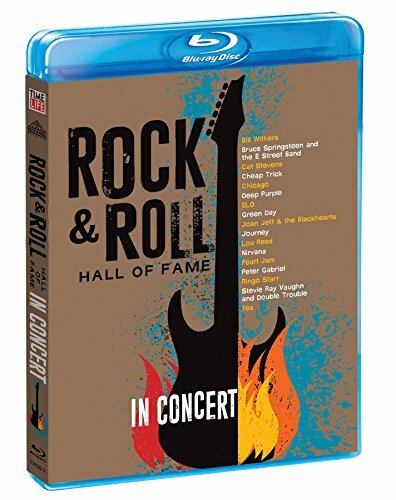 IN CONCERT boasts 10 songs not heard on Live, including World Turning from the Fleetwood Mac s 1975 self-titled release, and The Chain from the band s best-selling album Rumours (1977), a Grammy-award winning juggernaut that has sold more than 40 million copies. Several songs from IN CONCERT were recorded at the Checkerdome in St. Louis just a month after the release of Tusk, and only seven shows into the tour. Those performances capture the band already in top form on songs like Angel, Save Me A Place and What Makes You Think You re The One. 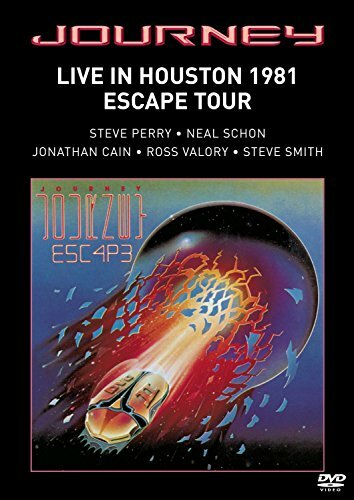 The rest of the performances were recorded several months later, including 11 songs from the band s six-night stand at Wembley Arena in London in June 1980. Among the highlights are That s Enough For Me, Sisters Of The Moon, and the Top 10 smash from Rumours, You Making Loving Fun. 2015 was a year of landmark events for Eric Clapton. He turned 70 in March and then in May he performed his 200th concert at London’s famous Royal Albert Hall fifty years after his first performance there with The Yardbirds. Clapton’s 7 night run at the venue was acclaimed by the critics and adored by the fans. 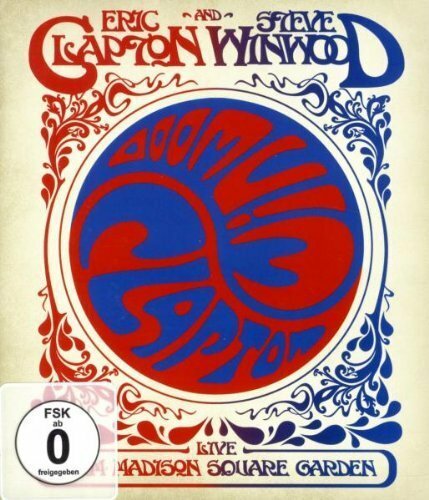 The set list blended vintage blues tracks and Eric Clapton classics from across his astonishing career. 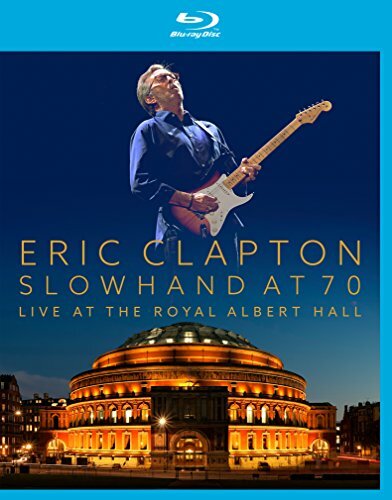 Clapton has become synonymous with the Royal Albert Hall and this concert is the perfect combination of artist and venue creating a truly magical night for Eric Clapton fans everywhere. 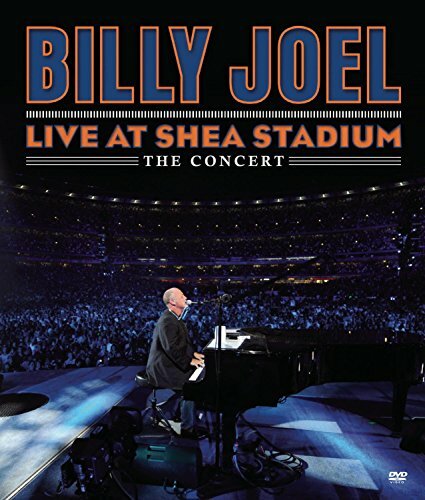 Bring The Concert Experience Home With Brilliant Picture and Superior Surround Sound. Blu-Ray pressing. 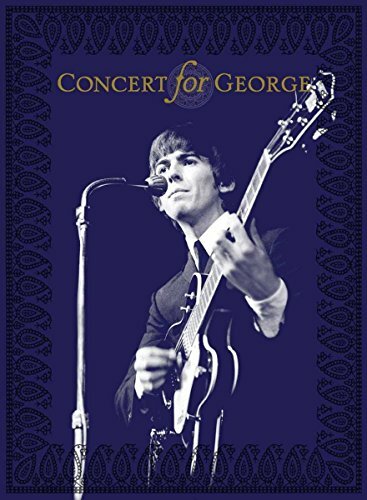 Filmed on November 29, 2002 before a sold-out audience at Royal Albert Hall the Concert For George is a beautifully filmed, joyous celebration of some of the most significant music of the 20th century. 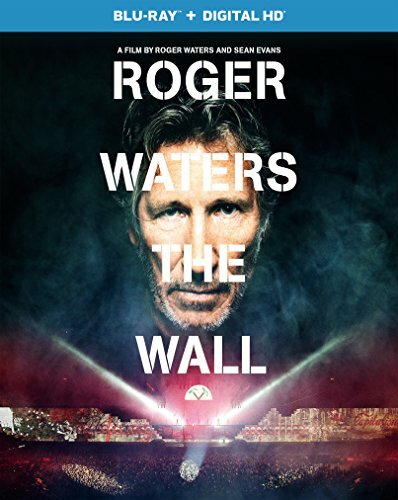 Includes breathtaking performances of some of George’s songs from rock’s most influential artists and pop culture icons including Eric Clapton, Paul McCartney, Ringo Starr, Tom Petty, Jeff Lynne, Monty Python with Tom Hanks, and Ravi and Anoushka Shankar. 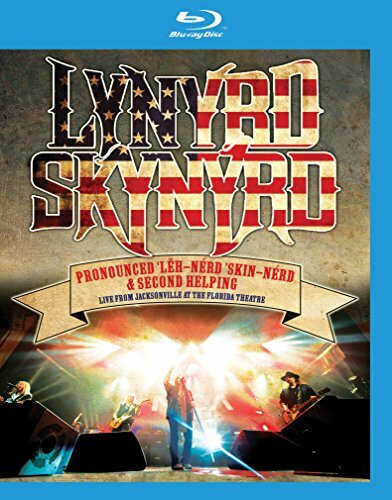 Earlier this year, Lynyrd Skynyrd performed their first two studio albums, Pronounced ‘L h-‘nérd ‘Skin-‘nérd and Second Helping , live in their entirety for the first time, at two specially staged concerts at the Florida Theater in their home town of Jacksonville, Florida. It was a special occasion for both the act and their fans as the band performed tracks they’d never or rarely played live before alongside classic songs that are an essential part of any Lynyrd Skynyrd live show. These unique concerts are a must have for any Lynyrd Skynyrd fan. Behind the scenes with Lynyrd Skynyrd. 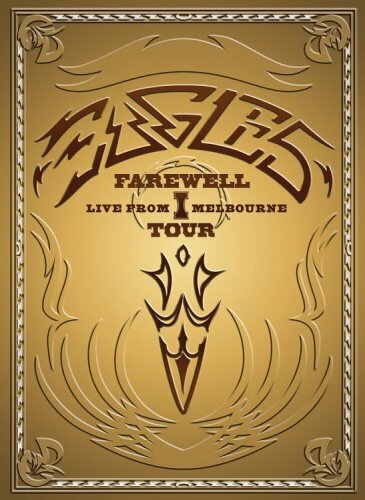 Eagle Vision’s new SD Blu-ray range presents upscaled standard definition original material with uncompressed stereo and DTS-HD Master Audio surround sound for the best possible quality. Barry, Maurice and Robin Gibb were performing together from childhood but it was in Australia in 1960 that they were first billed as the Bee Gees. The band went on to become one of the most successful performing, recording and songwriting acts of all time. 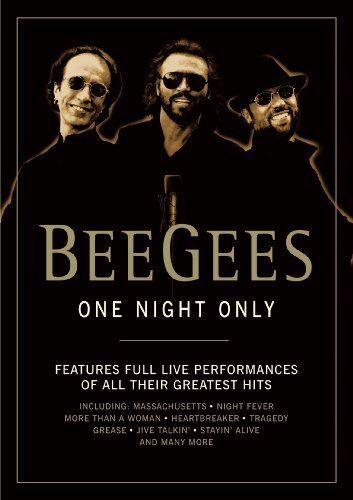 This full length concert was shot at the MGM Grand in Las Vegas on November 14th, 1997 and is one of very few Bee Gees performances ever filmed. Now for the first time it has been fully restored with remastered sound and will be released on a Blu-ray disc as the first of Eagle Vision’s new SD Blu-ray range. Michael Jackson’s legendary July 16, 1988 concert at Wembley Stadium. The concert is not a compilation of performances, but rather one complete show, exactly as Michael performed it for Prince Charles, Princess Diana and the 72,000 fans who were in the audience for that night s sold out show. 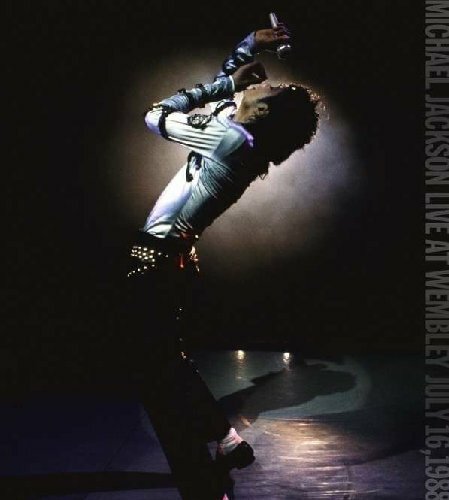 The DVD was sourced from Michael Jackson’s personal VHS copy of the performance as shown on the JumboTrons during the concert. This footage was only recently unearthed and is the only known copy of the show to exist. The visuals have been restored and the audio quality enhanced so that fans can share in the excitement of that famous night. Recorded on October 20th, 2001, this special 2 volume set captures the historic event at Madison Square Garden, as top artists came together to perform and pay tribute to the World Trade Center victims. 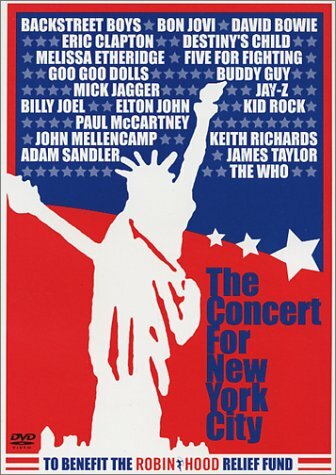 In addition to the music performed, Hollywood’s fin On October 20, 2001, this now-historic concert took place at Madison Square Garden, a mere six weeks after the horrific terrorist attacks on the World Trade Center. Thousands of firefighters, police officers, survivors, families, and fans witnessed a once-in-a-lifetime event as, in the space of nearly six hours, many legendary musical performers donated their time and their talent to one of the greatest causes ever, in the process giving their audience an unforgettable burst of pure emotion. Organized by Sir Paul McCartney, the Concert for New York City was an overwhelming experience that deserves to be saved for posterity. 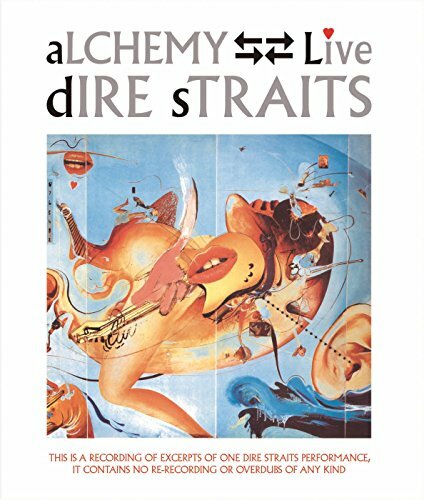 The two-CD audio recording is crammed with dozens of superb performances but doesn’t give a sense of the whole show that this two-DVD set certainly does. 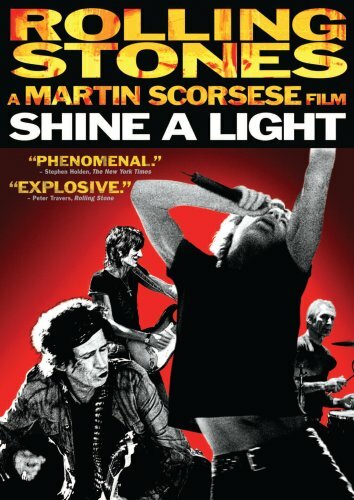 Not only can we relive such seminal performers from that evening as the Who, David Bowie, John Mellencamp, and Sir Paul himself, we can see the charming and personal short films made for the occasion by such New York filmmakers as Woody Allen and Martin Scorsese, or the dozens of celebrities and unsung firefighters and police officers who immortalized that day with their stories and musical introductions.